There are a total of four trails leading from the main lodge, all differing in distance and with an amazing diversity of birds to be found on each of them. 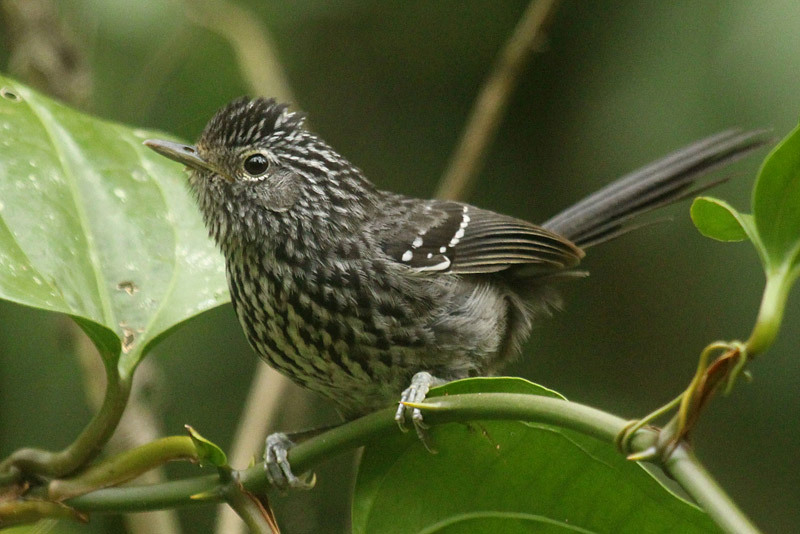 To date we have recorded over 180 species within the lodge grounds, of which 60+ are Atlantic Forest endemics! You can easily spend a couple of days birding the Lodge grounds and the various trails that we offer. We also have various feeding stations around the main Lodge and within the surrounding forest, easily accessed from the trails. Each of these feeding stations attract numerous species, especially during our winter months (May – September) when there is a lack of natural fruits available in the forest. Our feeding stations provide excellent photographic opportunities. The feeding stations at the lodge attract numerous species, great for watching some truly stunning birds in close up and excellent photographic opportunities. 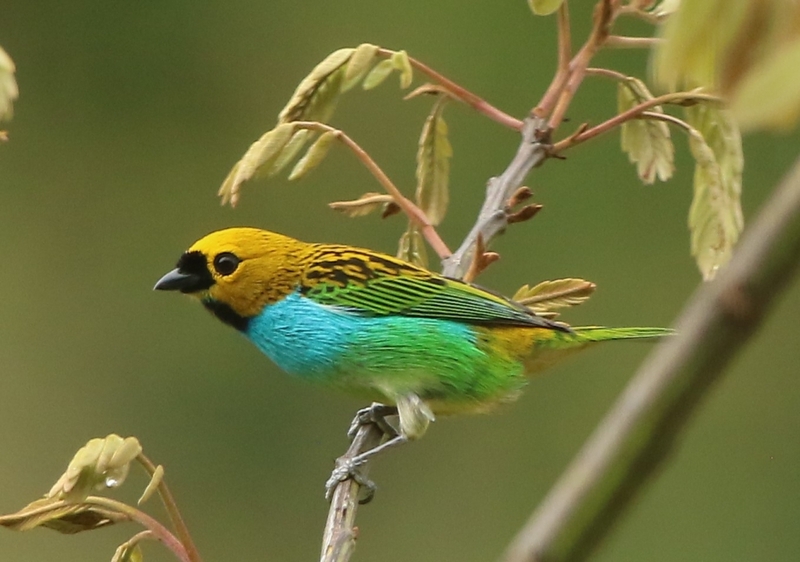 Species that visit the feeders regularly include Maroon-bellied Parakeet, Plain Parakeet, Saffron Toucanet, Blond-crested Woodpecker (June – September), Rufous-bellied Thrush, Pale-breasted Thrush, Magpie Tanager, Ruby-crowned Tanager, Sayaca Tanager, Azure-shouldered Tanager, Golden-chevroned Tanager, Palm Tanager, Brassy-breasted Tanager, Gilt-edged Tanager, Burnsihed-buff Tanager, Bananaquit and Blue Dacnis. We also have several hummingbird feeders at the lodge, these attract species including Black Jacobin, White-throated Hummingbird, Violet-capped Woodnymph, Scale-throated Hermit, Brazilian Ruby, Sombre Hummingbird (occasional) and Amethyst Woodstar (occasional). The decking area in front of the lodge also provides some great birding and acts as a good meeting place prior to breakfast or to relax at during any free time. Species that are regularly seen from this area include Slaty-breasted Wood-Rail, White-eyed Parakeet, Scaly-headed Parrot, Scaled Woodcreeper, Planalto Tyrannulet, Grey-capped Tyrannulet, Olivaceous Elaenia, Great Kiskadee, Boat-billed Flycatcher, Green-backed Becard, Chestnut-crowned Becard, Cinnamon Tanager, Fawn-breasted Tanager, Rufous-headed Tanager and Hepatic Tanager. The Blue Trail is the longest circular trail within the lodge grounds and goes through some good grade primary forest which includes a lot of native bamboo. At a birding pace this trail can take around 5 – 6 hours (depending upon the amount of activity), it’s a little up and down in some sections but others are completely flat. The bamboo along this trail provide the correct habitat for a lot of endemics species. 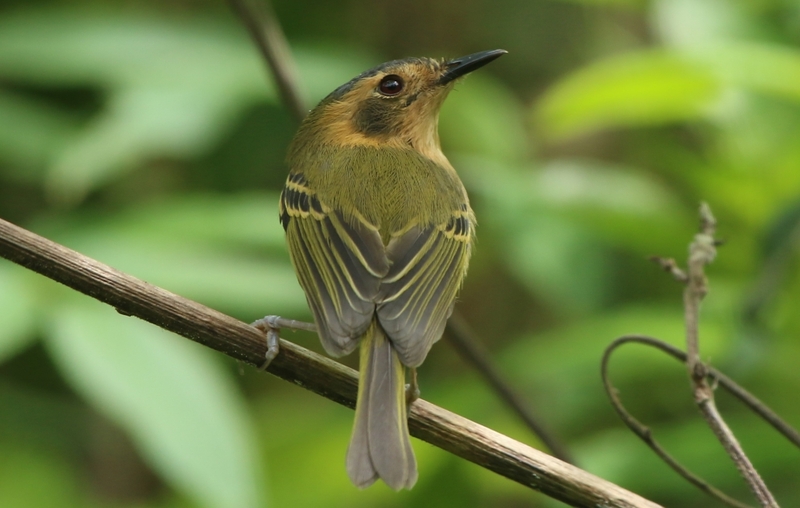 Some of our main target species include Ochre-rumped Antbird, Bertoni’s Antbird, Large-tailed Antshrike, Rufous-tailed Antthrush, Mouse-coloured Tapaculo, Grey-bellied Spinetail, Pallid Spinetail, Blue Manakin, Pin-tailed Manakin, Half collared Sparrow, Brown Tinamou, Black Hawk-Eagle, Black-throated Trogon, Spot-billed Toucanet, Saffron Toucanet, Yellow-browed Woodpecker, Buff-browed Foliage Gleaner, Buff-fronted Foliage Gleaner, White-collared Foliage Gleaner, Planalto Woodcreeper, Lesser Woodcreeper, Giant Antshrike, Dusky-tailed Antbird, Rufous-Gnateater, Shear-tailed Grey-Tyrant, Rufous-crowned Greenlet, White-rimmed Warbler, Golden-crowned Warbler and Green-winged Saltator. This shorter trail is easily accessed from the lodge and is fairly short in distance. 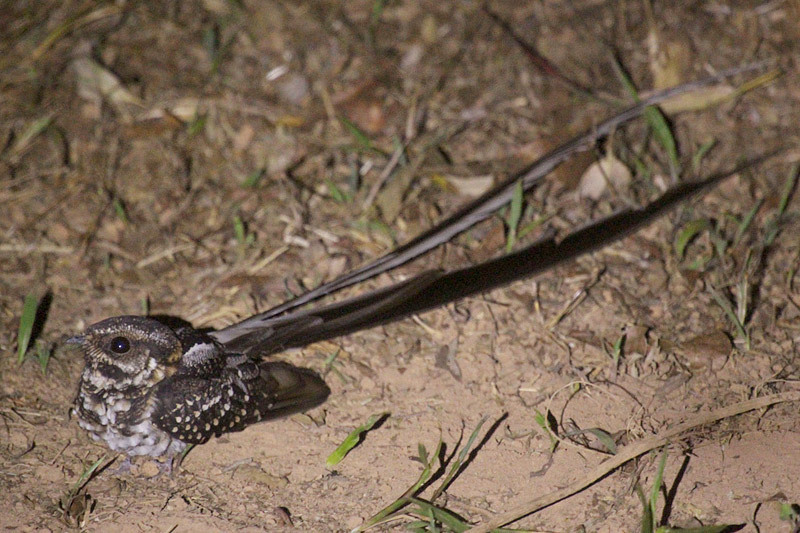 It does however go through some quality habitat that is incredibly rich in birds. Some of our target species along this trail include Tufted Antshrike, Half-collared Sparrow, Black-billed Scythebill, Cryptic Antthrush, Variegated Antpitta, White-breasted Tapaculo, Rufous-capped Spinetail, White-browed Foliage Gleaner, Buff-browed Foliage Gleaner, Rufous-breasted Leaftosser, Sharp-tailed Streamcreeper, Sharp-billed Treehunter, White-throated Woodcreeper, Star-throated Antwren, White-shouldered Fire-eye, Greenish Schiffornis and Yellow-legged Thrush. This circular trail leads through semi-open areas and offers a different variety of species. Common birds around this trail include Squirrel Cuckoo, Rufous-capped Motmot, White-barred Piculet, Yellow-eared Woodpecker, Spix’s Spinetail, Orange-eyed Thornbird, Olivaceous Woodcreeper, Variable Antshrike, Drab-breasted Bamboo-Tyrant, Ochre-faced Tody-Flycatcher, Crested Oropendola and Chestnut-headed Tanager. This short trail spends much of the day in shade and leads through the Orchid and Bromeliad garden. Birding here can be tough but we visit this trail in hope of seeing Spot-winged Wood-Quail, Spotted Bamboowren, Mouse-coloured Tapaculo, Surucua Trogon, Plovercrest, Buff-fronted Foliage Gleaner and Giant Antshrike amongst others. 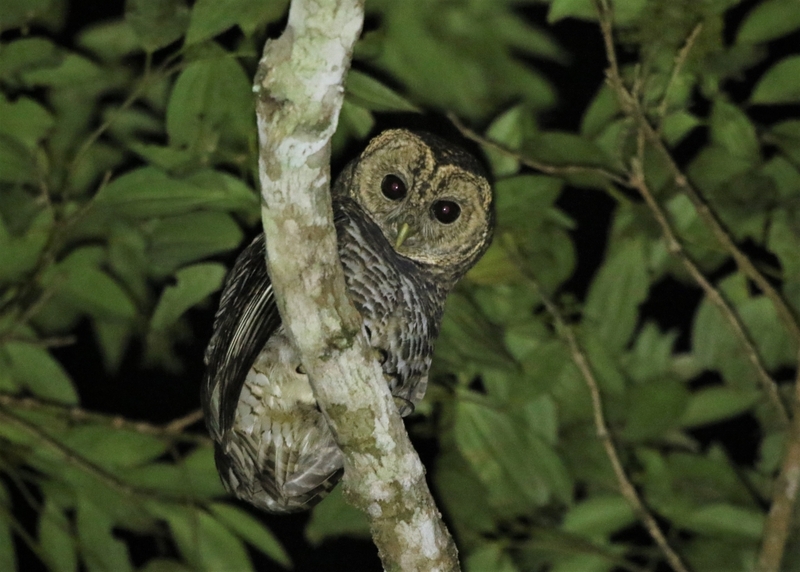 Night-birding can be a little tough in the local area but we do have a small number of species of night birds resident around the lodge, these include Rusty-barred Owl, Black-capped Screech-Owl, Tropical Screech-Owl, the spectacular Long-trained Nightjar (September – February), Short-tailed Nighthawk, Common Potoo and Pauraque.